The relational model has long been, and still is, the dominant database storage and retrieval technique in business. Full text searching —> e.g., Apache Lucene. Document stores —> e.g., MongoDB, RavenDB, Lots of implementations. Other, general use, NoSQL databases —> e.g., Cassandra. Geographic data —> Geographic Information Systems (GIS); e.g., ARCGIS, GRASS, TerrSet/IDRISI, etc. Network data (social or other) —> Lots of implementations. RR theorette: For discrete phenomena a relational representation always exists, but in some cases or domains it is not very practical or impractically expensive. Example I: full text searching in TeachEngineering slow in MySQL —> switched to Apache Lucene. Example II: relational model not very efficient for spatial data —> GIS. Problem: Why would RDBMS manufacturers offer these products? NoSQL databases use native, non-relational data representation; e.g., XML, JSON, binary (e.g., BSON), KV tuples, etc. Relational is great, but not for everything. Sometimes we just do not need it. Sometimes it becomes too expensive. Provide in-database processing (stored procedures). All nodes in a distributed system see the same data at the same time; e.g., guarantees that each read reflects the latest write. Business Analytics: in finding any trend or pattern, a single transaction that took place a second ago is not really relevant (if it is, it bucks the trend!). If a new You Tube video comes on line, it may be fine if the rest of the world only sees it a few seconds/minutes from now. If a new TeachEngineering document comes on line, it is fine if the rest of the world only sees it 15 minutes from now. When a bookstore in Florida offers a discount copy of Grapes of Wrath, it may be fine if the rest of the world only sees it a few seconds/minutes from now. Public stock tickers/quotes have delayed pricing data. Scaling up (large amounts of data) and scaling out (geographically distributed data) on RDBMS quickly becomes very complex and/or very expensive with RDBMS (hardware and licenses). Riak: masterless, node failover database. Data distribution is done by sharding ('tables'/data are spread over multiple nodes). Addition or removal (or loss!!) of nodes results in redistribution of data and responsibilities over all nodes. All data stored as key-value pairs. Less powerful than relational, but that power is often not needed while you still have to buy it with RDBMS. Adding new key-value pairs might be easier to do than to change an operational database schema. Note: with NoSQL there are no primary or foreign keys, no joins, no relational algebra. Riak does not provide RDBMS-like transaction control; e.g., no locking, no concurrency control. ...which may be OK in many scenarios. Cassandra: another masterless distributed, NoSQL database system (initially developed at Facebook; now an Apache project). "The Apache Cassandra database is the right choice when you need scalability and high availability without compromising performance. Linear scalability and proven fault-tolerance on commodity hardware or cloud infrastructure make it the perfect platform for mission-critical data. Cassandra's support for replicating across multiple data centers is best-in-class, providing lower latency for your users and the peace of mind of knowing that you can survive regional outages." 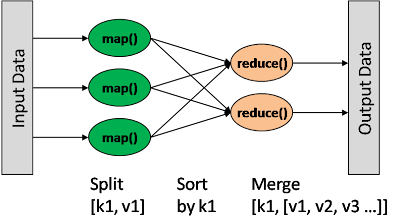 Hadoop: map-reduce with replicated data storage (originally developed at Yahoo! ; now an Apache project). Blockchains: masterless, node failover distributed ledgers. Note that these are all so-called 'distributed' databases. They all spread their data over different (often inexpensive) machines. Much of (business) big data needs a platform which allows for computing on large amounts of spatially distributed, multi-format data stored on inexpensive hardware. RDBMS-way can be prohibitively expensive while much of its power might not be needed. Some (or much) of the data are not, and do not need to be in relational form. Traditional way: collect all the data from the distributed servers, then compute centrally. TeachEngineering 2.0: NoSQL — RavenDB: documents stored as JSON structures. Support an argument that the gravitational force exerted by Earth on objects is directed down." 'Relational' is parsimoneous (normal form — standards are stored only once); NoSQL is not (TeachEngineering 2.0: same standard text stored > 1000 times. NoSQL provides only eventual consistency but for something like TeachEngineering that is just fine. TeachEngineering documents fit JSON document databases well. In TeachEngineering 2.0 whole documents are stored in the database; in TeachEngineering 1.0 every document is spread/replicated over three(!!) different platforms (XML, relational and Lucene for text searching). TE 1.0: Need two ETL processes: XML —> SQL/Relational; XML —> Lucene. TE 2.0: Need only one (light!) ETL process: JSON —> RavenDB. TE 1.0: Need to extract data from XML and the relational database. TE 2.0: Need to extract data from RavenDB only. JSON databases tend to be really fast and optimized for text searching. Overall: For almost 40 years, relational was (pretty much) 'it.' Nowadays, however, we have alternatives which should be taken into consideration when selecting searchable data storage solutions.